We typically see a lot of snow during the winter season. I am content to cuddle on the couch and watch the snow fall, whereas my kiddos are pulling out their snow gear to get bundled up to play in it. To bring a little snow inside-- without the cold, we made this fun snowflake craft while sneaking in art, math, and engineering skills! My daughter was not only learning about fractions, but symmetry and design. 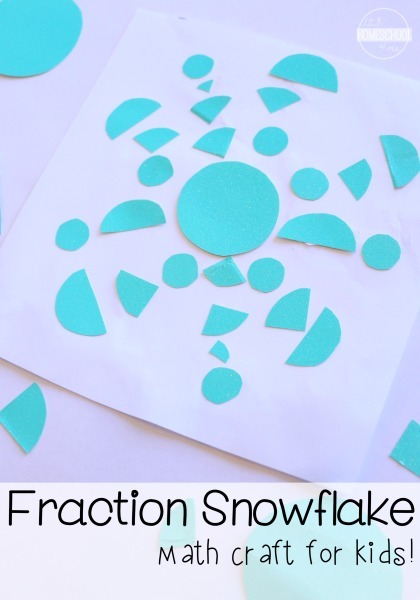 Add a little art and engineering to learning fractions with this adorable winter STEAM activity-- Fraction Snowflakes. 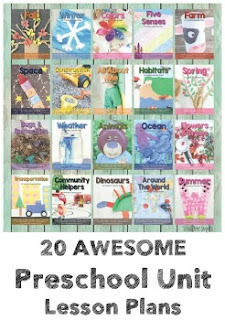 It is a great activity for your kindergarten, 1st, 2nd, and/or 3rd grade student. And just like an actual snowflake, no two fraction snowflakes will turn out the same. 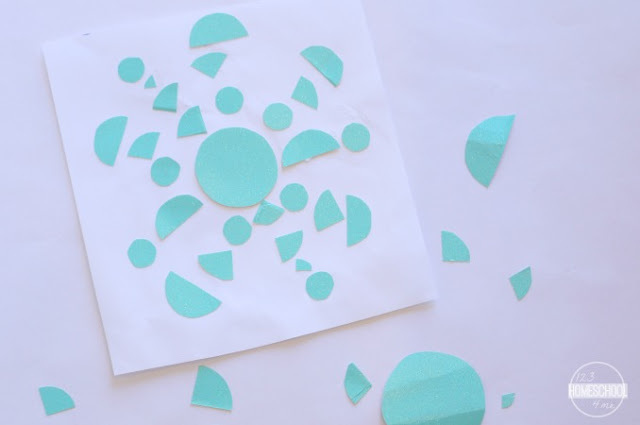 This fractions snowflake is easily to adapt to incorporate other shapes and fractions. I love that this simple afternoon activity incorporated art, math, and engineering skills!